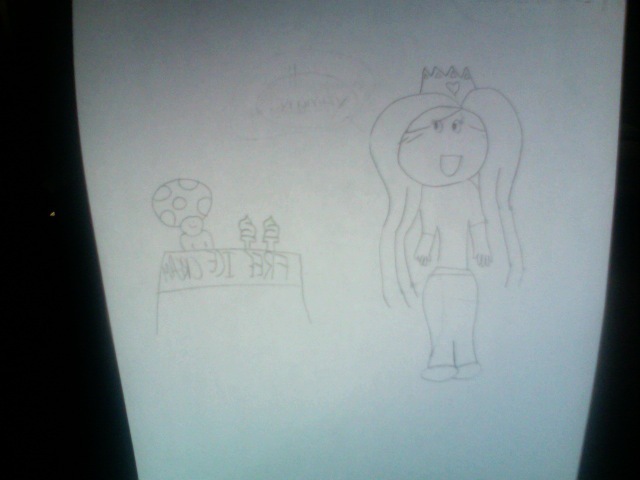 princess peach in mom jeans!. princess peach really needs a workout in that picture.. Wallpaper and background images in the Princess Peach club tagged: princess peach. princess peach really needs a workout in that picture. This Princess Peach fan art might contain sign, poster, text, and chalkboard. how are those mom jeans? wow, thats probably the worst picture i have ever seen in my intire life. srry person but u need drawing lessons! Guys SHUT UP mabey she/he (sorry dont know) made this shen thay were like um..6! dont hate!